In my experience representing clients who have been injured in Massachusetts motor vehicles, rear end collisions may be the most common. On the other hand, the injuries sustained are not necessarily common. Many of our clients have stated “it happened so fast” or “I never saw or even heard them coming” in such collisions. What makes it frustrating, from the legal perspective is how the insurance companies react. If you don’t go directly to the hospital, they generally consider your injuries insignificant. 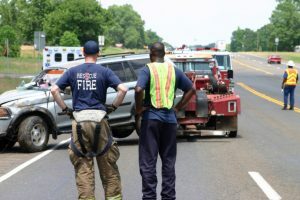 If there is only minimal damage to your vehicle, they consider your injuries insignificant; they will even hire experts to “prove” the impact was inconsequential. If the damage to the vehicle is significant, they will withhold photographs and attempt to minimize it. When your injuries are “merely soft tissue,” no matter how painful the recuperation, the Massachusetts insurance companies often use a computer program that allows for minimally low recovery. The good news in rear end collision cases in Massachusetts is that the law presumes that fault rests on the rear driver. Thus, insurance companies will start with that assumption, even when their own insured claims the first vehicle stopped too quickly. The insurance adjusters assume that the driver was following too closely or failing to pay attention. In fact, there are many reasons for such collisions. They include inattentive driving, such as using a cell phone or monkeying around with distracting gizmos such as GPS navigation or the radio. They also include slipping on ice and snow. We have seen many cases where someone simply accelerates too quickly coming out of a stop sign or stop light; some folks start fast and slow down resulting in a collision from the rear. Rear end collisions result in injuries that include neck sprains, back injuries, broken bones, facial injuries, head injuries and nerve injuries. 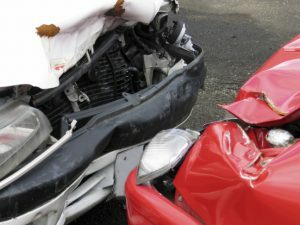 Serious head injuries are often sustained by victims of rear end accidents. People suffer temporary disability, permanent disability and often permanent scaring. One of the most common injuries our clients sustain is the proverbial whiplash neck injury. These connective tissue injuries can be very painful. They can result in headaches, stiff necks, and unrelenting pain for months. Insurance companies love to belittle these injuries in Massachusetts. They also use neck whiplash injuries to send victims to insurance doctors in “insurance medical exams” or IMEs as they are known. Those “medical reports” are then immediately used to stop your medical treatment. Frequently they sent victims to the wrong type of doctor, or ignore various other injuries. Will My Rear End Collision Case Go To Court? While you may think that since you were not at fault, and since you have been told that the other insurance company agreed to “full liability” on the part of their insured, that there will be no problem and your case will settle for a fair amount once you finish treating. Unfortunately, absent an aggressive approach by your Massachusetts car accident lawyer, the insurance company adjusters may be setting you up for a lowball settlement offer. We see it all the time: “minimal damage” to your vehicle, they say, or, there was a “gap” in medical treatment. We work with our clients in an ongoing basis to be sure we understand the consequences of the injury, the pain and suffering. We convey that to the insurance company. If they refuse to make a reasonable offer of settlement, we file suit. We explain how a lawsuit would work every step of the way. If you have been injured as a result of a rear end motor vehicle collision, call an experienced Massachusetts injury attorney. I have fought for clients aggressively and effectively since 1985. We have represented thousands of injury victims. We have settled Massachusetts rear end collision cases against every insurance company doing business in Massachusetts and we have gone to trial on many as well. We have tried cases against individuals and the Commonwealth of Massachusetts in Superior Court. We work with your doctors, physical therapists, chiropractors and other medical providers to get your medical treatment paid for by the insurance companies. We work with your insurance company’s Personal Injury Protection (PIP) to get your immediate relief for lost wages. All consultations are free. We don’t charge you until we win. You will get personal attention from an experienced Massachusetts car accident lawyer from start to finish. Call 617-227-7423.